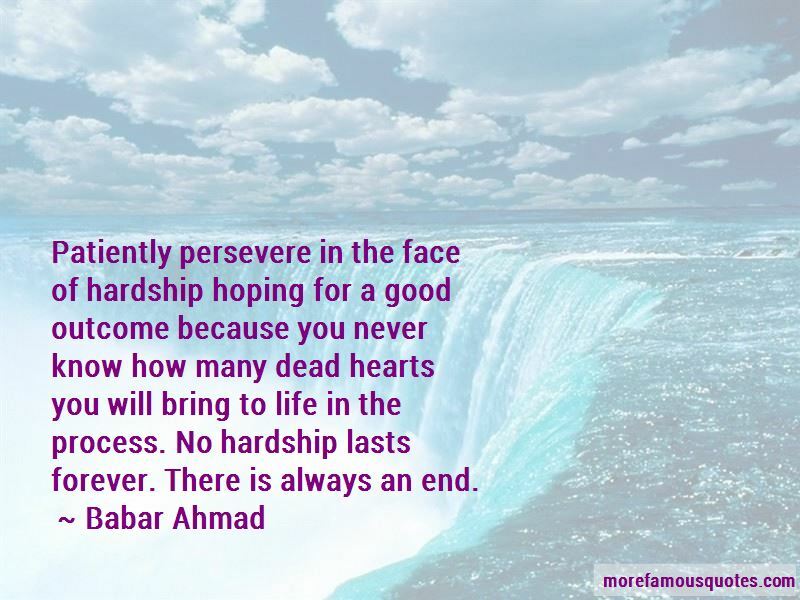 Enjoy the top 5 famous quotes, sayings and quotations by Babar Ahmad. 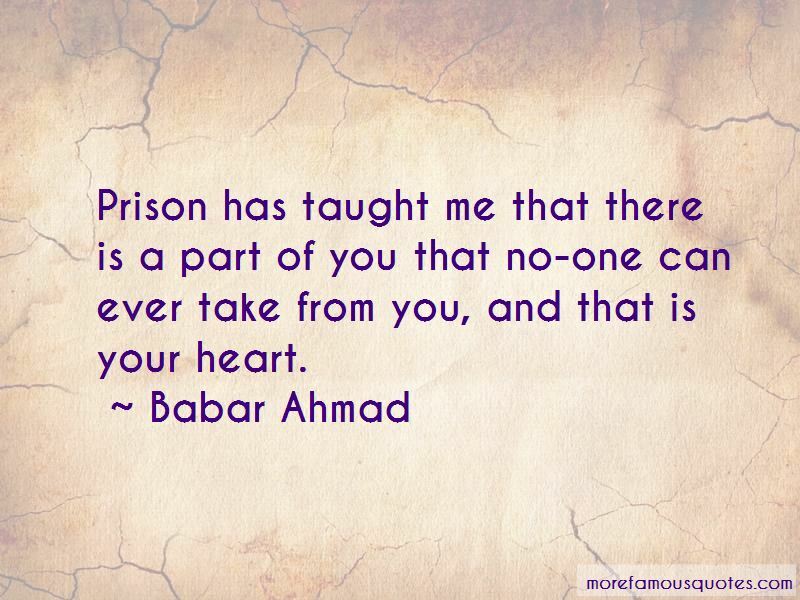 Prison has taught me that there is a part of you that no-one can ever take from you, and that is your heart. 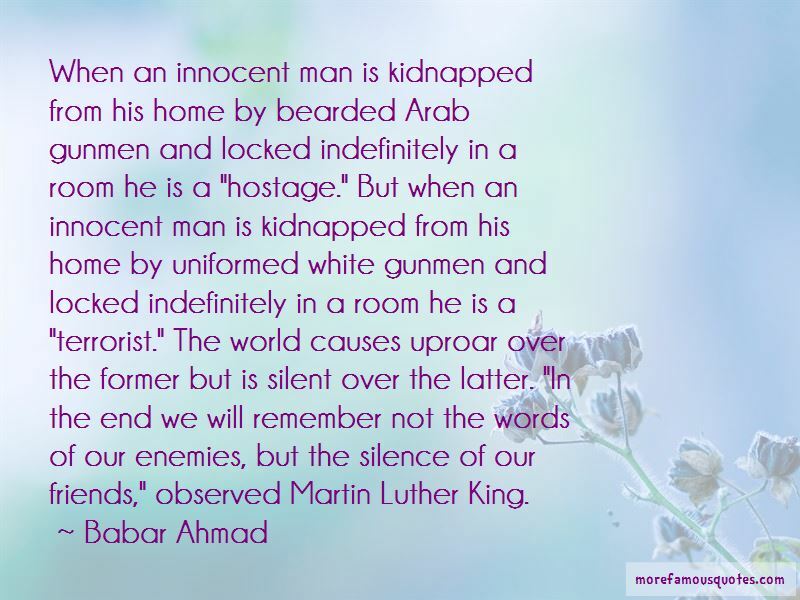 Want to see more pictures of Babar Ahmad quotes? 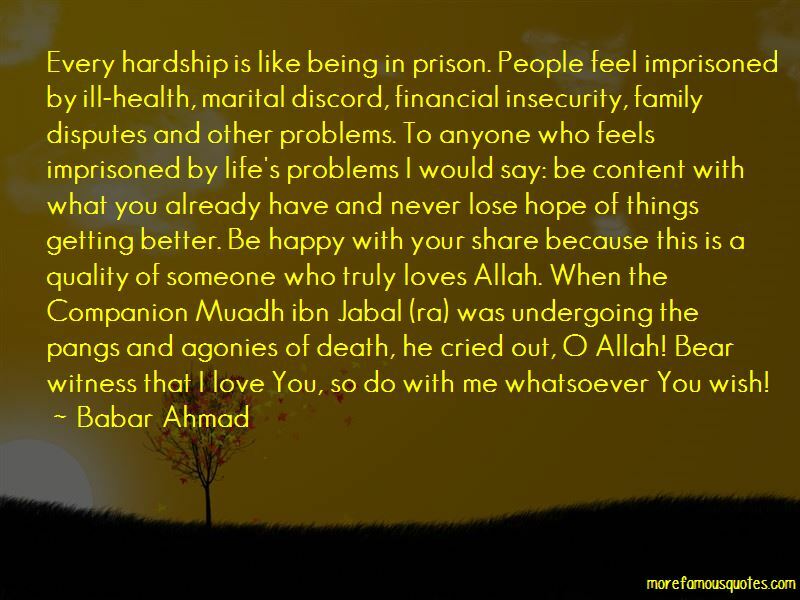 Click on image of Babar Ahmad quotes to view full size. “It has not been stylish to pay attention to those warrior castes who neither planted nor herded, but devoted their lives to pillage” — Anonymous.